...and they are scrumptiously yummy. Four new Metal Effects Dimensional Paints: Gold, Silver, Bronze and Copper, are brand new additions to the Technique Junkies store. 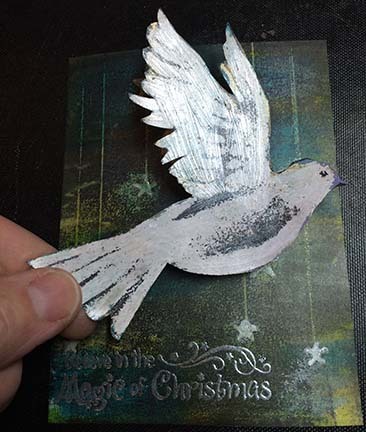 The Silver Metal Effects paint on the dove (right) is an example of the new Metal Effects Dimensional Paint -- gorgeous, metallic and glossy! Three new Shimmer Sprays - aptly named Fairy Dust -- have been added to the Technique Junkies store. 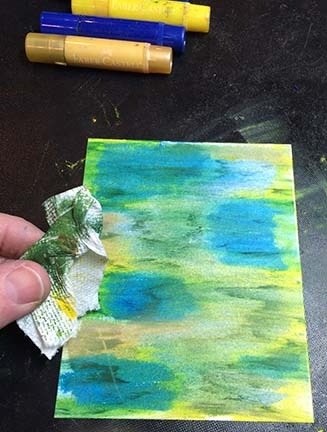 They add an amazing layer of shimmer that helps bring out the beauty of the printed piece. Remember that the November release stamps are still 15% off through November 8th. Your discount will be taken off the November stamps at checkout. Have you been joining us for the 30 Days of Christmas? Today is Day 23. 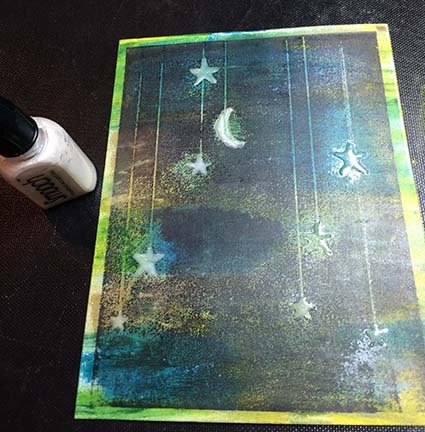 The new Celestial Dangles stamp is incredibly versatile -- I just love this stamp. What I think I love the most about it is that it works great as a Christmas background, but the dangles are versatile other times of the year also. Ah, but today...today we are celebrating the holidays! I decided to combine the stamp with my beloved Gelatos to create a colorful background. 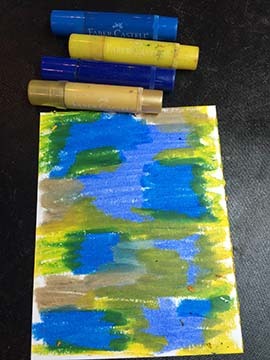 Select three or four Gelatos colors and scribble randomly over a piece of white cardstock. Cover the entire piece, and be generous with the Gelato coverage. Use your finger or a paper towel to move the Gelato colors from side to side. 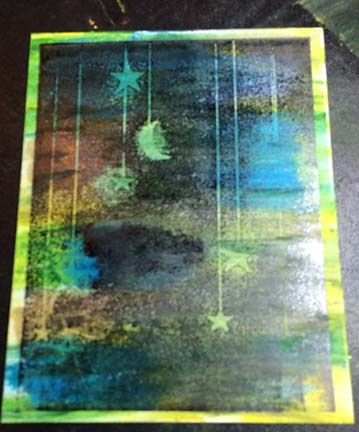 Ink the Celestial Dangles stamp with StazOn and stamp over the Gelato colored piece. To color the dangles, I used White Opalescent Smoosh Inks. 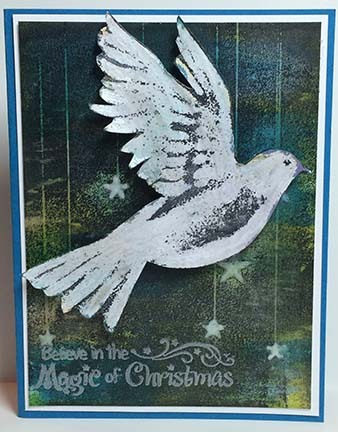 TheMagic of Christmas stamp was then stamped and heat embossed in silver before trimming down the piece. 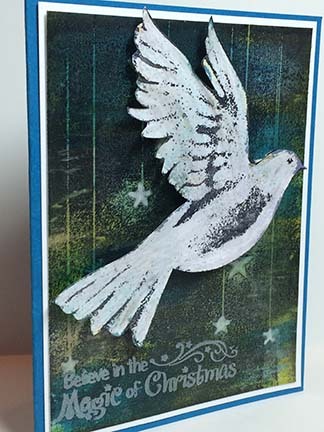 For the focal image, stamp the Christmas Dove stamp n White paper with StazOn. 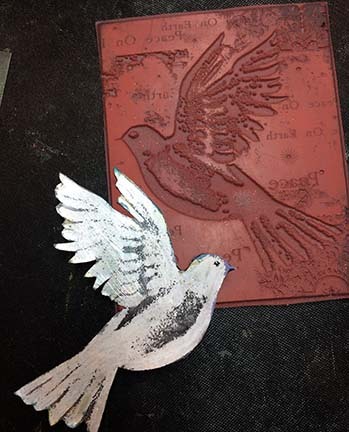 The dove was painted with SilverMetal Effects and cut out, then popped over the background. The card matted on white, with a blue card base to finish the look. 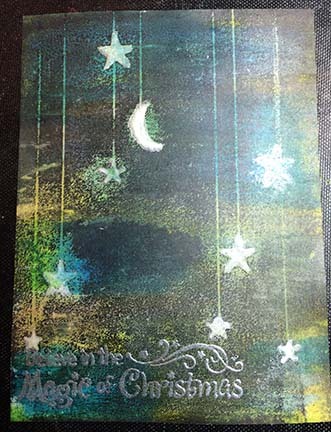 This card has amazing shimmer! Day 19: Judy Jackson; Three Cards!